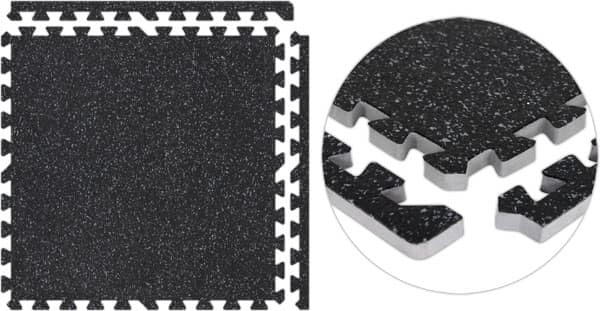 Recycled rubber top and high density closed cell EVA foam bottom create our soft rubber flooring. These rubber top floor tiles would be ideal for a club/gym, exercise, auto, playground or garage related trade show booth floor. The combination of rubber tiles and foam tiles provide durability and comfort all in one. 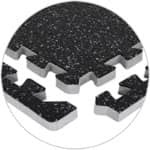 Compared to traditional rubber flooring, these interlocking rubber floor tiles are lightweight and provide better cushion because only the top layer is made of 2mm eco-friendly recycled rubber and the bottom is made of EVA foam. Also, can be assembled in minutes. Perfect for indoor as well as outdoor use. Creates a professional and contemporary look and feel. Tile material is completely waterproof, will not absorb water. Fire Retardant - Meets FMVSS-302 specification. Lead-Free, Latex-Free. Each tile comes with one corner edge and one non-corner edge. Each edge piece, when attached, extends that edge of the tile by an additional 13/16". An individual foam tile size is 24 3/8" x 24 3/8" with no borders attached and 25 3/16" x 25 3/16" with both borders attached. Due to the interlocking nature of these tiles, each tile size will be reduced by approximately 1.5% when connected together. Therefore, please make sure that the dimensions quoted, minus 1.5% in each dimension, will cover your required area (for example a 20'x20' quoted area would be approximately 19'8"x19'8"
SoftRubber is the evolutionary and innovative production process of bonding both recycled rubber and high density closed cell EVA foam rubber to create soft rubber flooring. 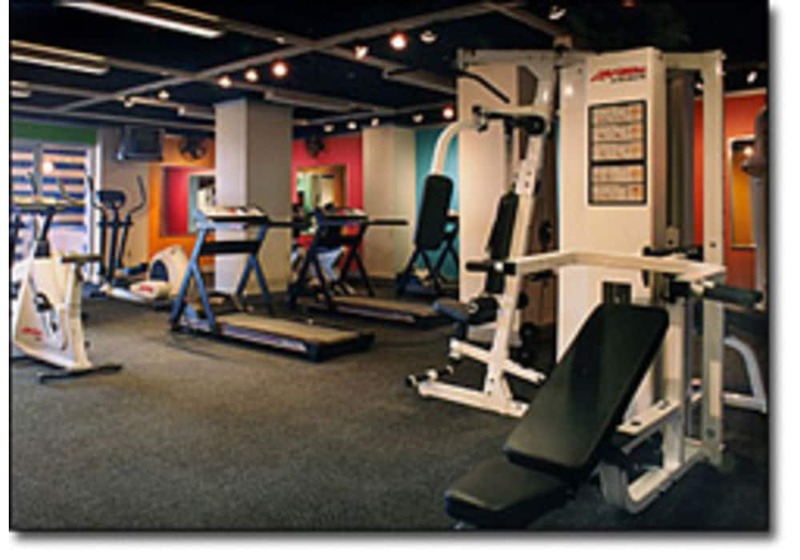 SoftRubber interlocking floor mats make the perfect rubber gym flooring. 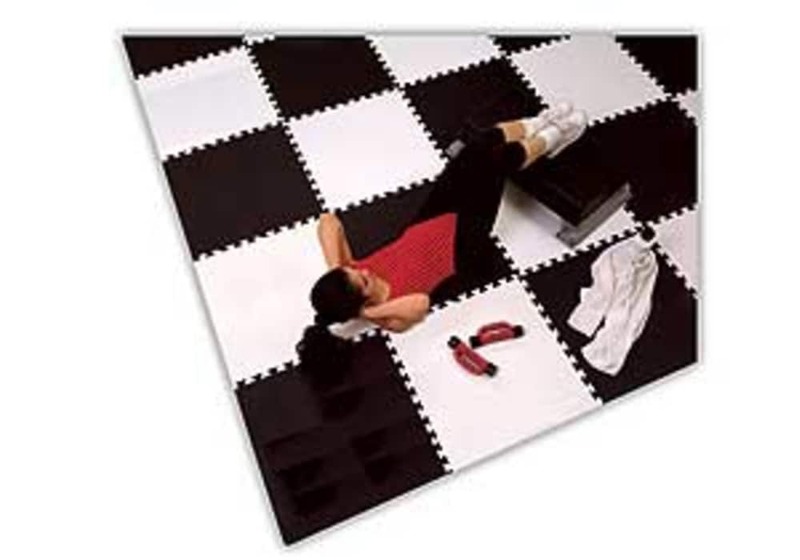 These exercise floor tiles are ideal for aerobics, general exercise or as exercise equipment flooring. 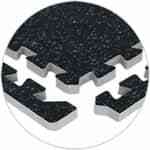 The combination of rubber tiles and foam tiles provide durability and comfort all in one. 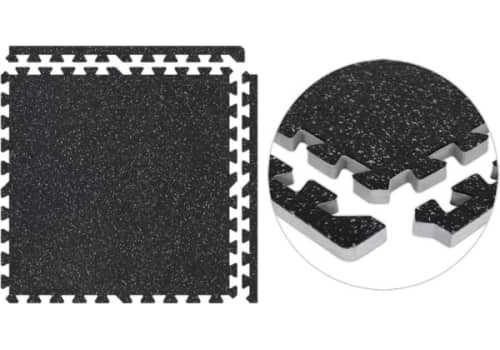 Compared to traditional rubber flooring, these interlocking rubber floor tiles are lightweight and provide better cushion (because only the top layer is made of eco-friendly recycled rubber and the bottom is made of EVA foam). High heel proof (i.e. women's high heels won't damage the tiles). Great for Trade Show Booth Flooring, Gyms, Playgrounds, Garage Floors and more. Top layer made of 2mm recycled rubber. Tile material is waterproof and will not absorb water. 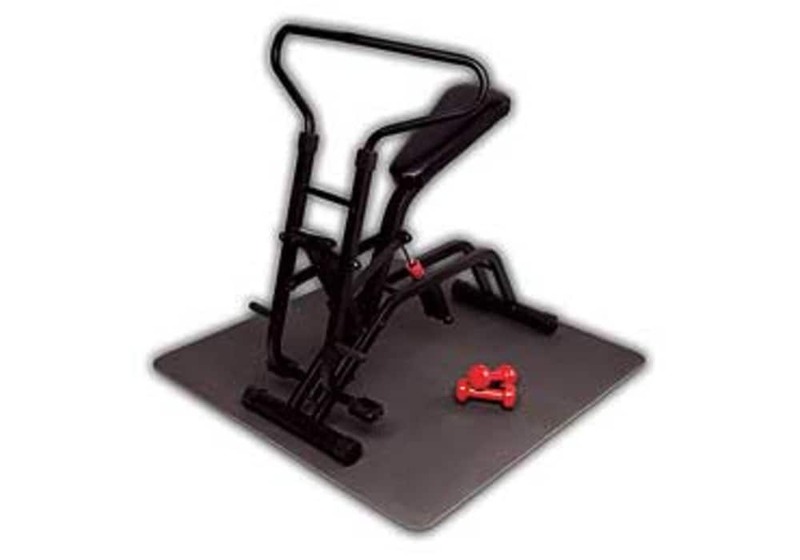 For installation (including around poles), forward to the 15:14 time mark in the"Big Basement Workout" episode of the DIY show"10 Grand In Your Hand" on which this product of ours was featured. Each tile comes with one corner edge and one non-corner edge. Each edge piece, when attached, extends that edge of the tileby an additional 13/16". Weight: each rubber tile is approximately 4.5 lbs. Interlocking rubber floor tiles shown above are for color and texture representation only.